E-commerce is your pass to the future. Don't miss your chance with our awesome deep red template. 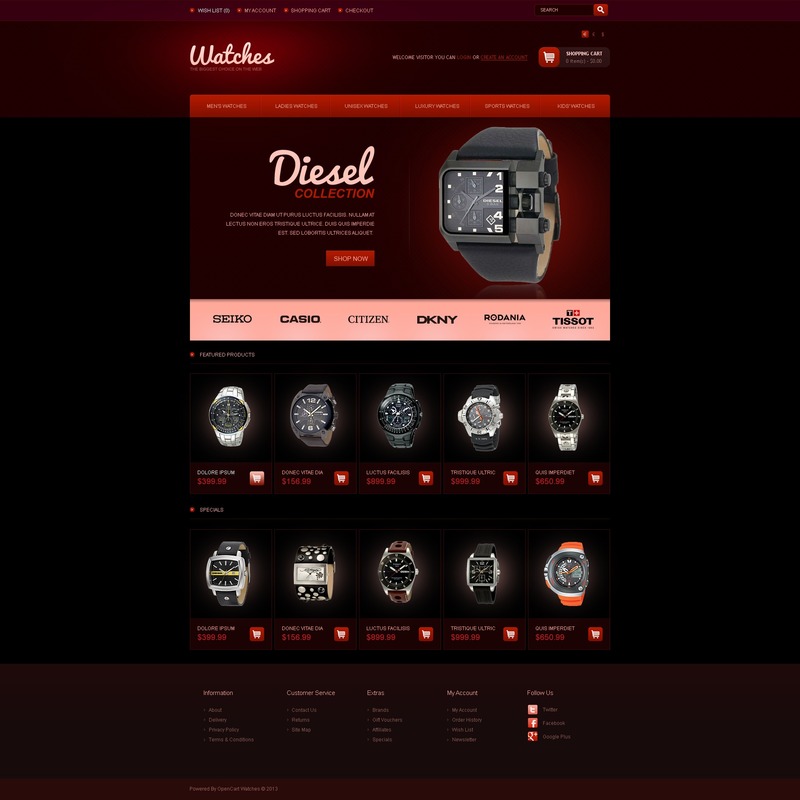 Slider advertises watches from famous brands. Featured and Special products are standing in five columns. Drop down menu and footer widgets help the customers find exactly what they need.